Our final lesson in our sushi masterclass covers sabazushi – an impressive type of sushi which sees mackerel rolled around rice. Once you’ve got the hang of cooking sushi rice and your tamago nigiri and futomaki look fantastic, it’s time to move onto something more challenging. 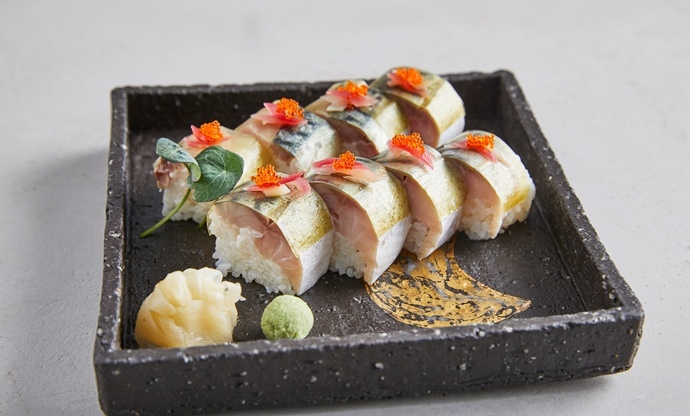 Sabazushi sees cured mackerel and rice rolled together, with a strip of soaked shiraita-konbu (shaved kombu seaweed) on top. This sushi requires a bit of planning in advance – the mackerel needs to cure in sugar, then salt, and then needs marinating in rice wine vinegar for an hour. But the end result is beautiful – especially if you include the tobiko and myoga (Japanese ginger) as a garnish. 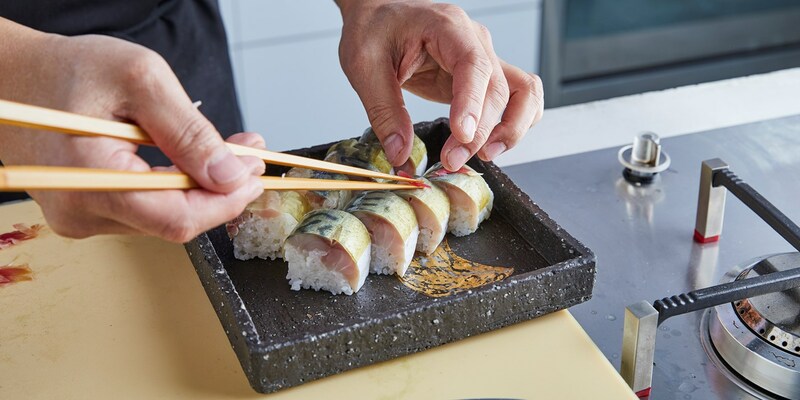 There are a few techniques you might need to practice to get your sabazushi looking just right, but with Hideki's help you'll be well on your way to creating something truly awe-inspiring. Watch him in action to see how it's done. Ready to give sabazushi a go? Here's Hideki's recipe in full, which will produce sushi that looks – and tastes – incredible. Have you taken a look at our other two sushi lessons? Click here to see lesson one and here to give lesson two a go.